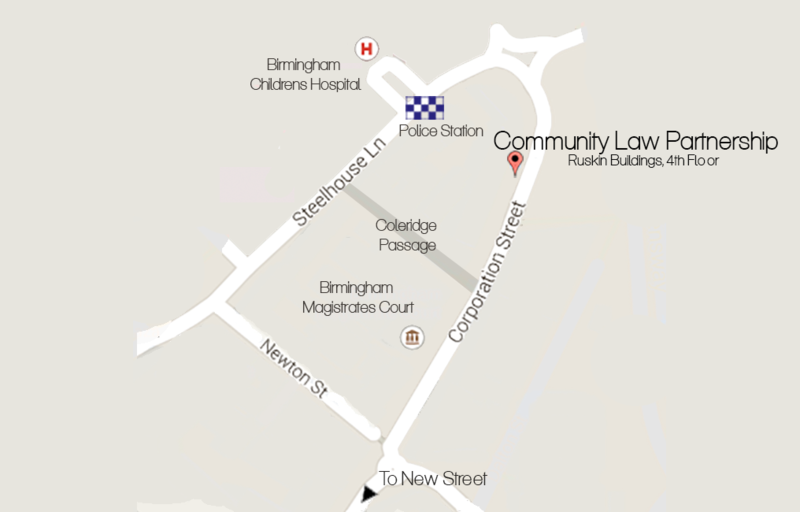 The Community Law Partnership is situated in the heart of Birmingham's legal quarter, a few steps past Birmingham Magistrates’ Court at the far end of Corporation Street. When you reach the entrance to RUSKIN CHAMBERS, take the lift or stairs to the 4th FLOOR. On arrival at the 4th FLOOR you will see the entrance to our office on your right. Ring the bell on the right of the door for attention.